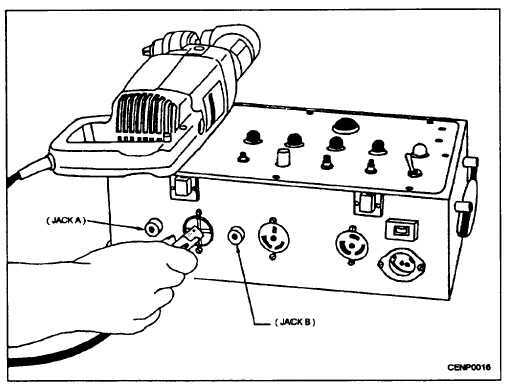 Home > Construction Training Manuals > Construction Electrician Basic > Figure 7-16.Typical Tool Tester. Figure 7-16. - Typical tool tester. The transformer passes approximately 30 amperes through the tool cord equipment ground, burning away any whiskers that may be causing a poor equipment ground If there is no equipment ground, the OPEN EQUIPMENT GROUND sensing relay is activated, and appropriate warnings are given (the OPEN EQUIPMENT GROUND light glows). If the resistance of the ground on the equipment under test is approximately 0.2 to 1.5 ohms, the FAULTY EQUIPMENT GROUND sensing relay is activated Resistance in excess of this amount activates the OPEN EQUIPMENT GROUND sensing relay. The range in length of extension cords that can be tested is from approximately 6 feet to 100 feet of 16- gauge wire. These lengths will be longer or shorter in other gauges. The sensing circuit can be adjusted for different sensitivities. The presence of a dangerous POWER GROUND, caused by carbon, moisture paths, or insulation breakdown, is checked at a 500-volt potential or at a 120-volt potential when the RF TEST button is pressed. The equipment, line cord, and switch are tested for SHORT CIRCUIT. Faulty conditions are indicated by the corresponding light (red) and buzzer. One faulty condition must be corrected before another one will be indicated. Tests proceed only when the equipment ground is in a safe condition. All tests (except the power ground) are conducted at potentials less than 10 volts. If no electrical defects are found, the tool operates at its proper voltage to reveal any mechanical faults. Optional features are installed to simplify two-wire and double-insulated tool tests and provide for safely testing double-insulated tools for power grounds. WARNING The tool operates at the end of the test cycle. Be sure moving parts are faced away from the operator and have proper clearance to operate. Remove any removable cutting blade or bit before the tool is tested Do not come in physical contact with the tool during the test.